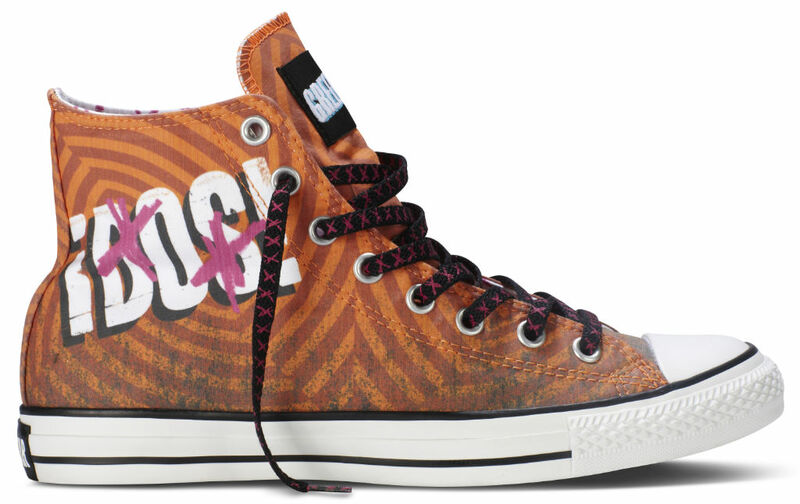 Green Day x Converse Chuck Taylor ¡Dos! 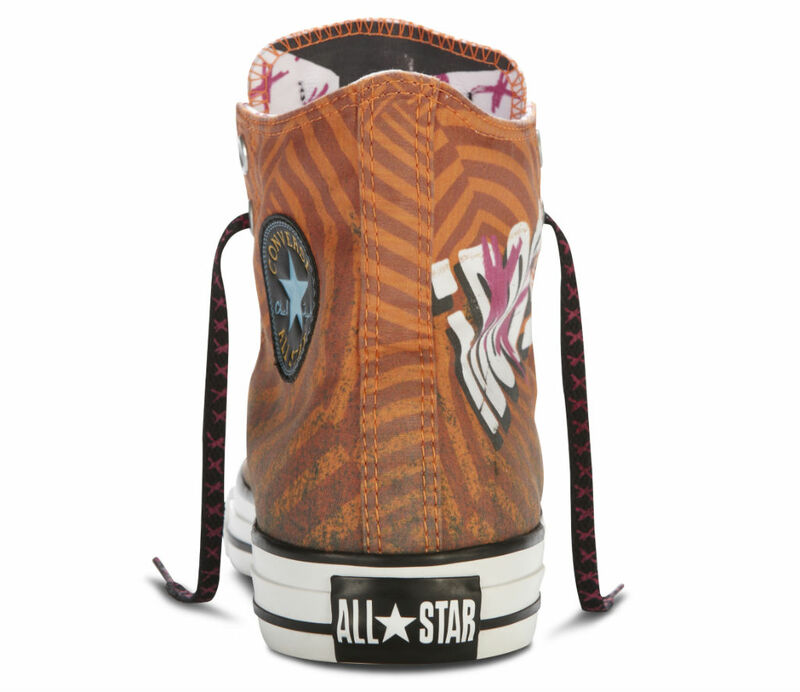 Converse has unveiled the second shoe in the Chuck Taylor All Star collaboration with Grammy Award winning band Green Day. 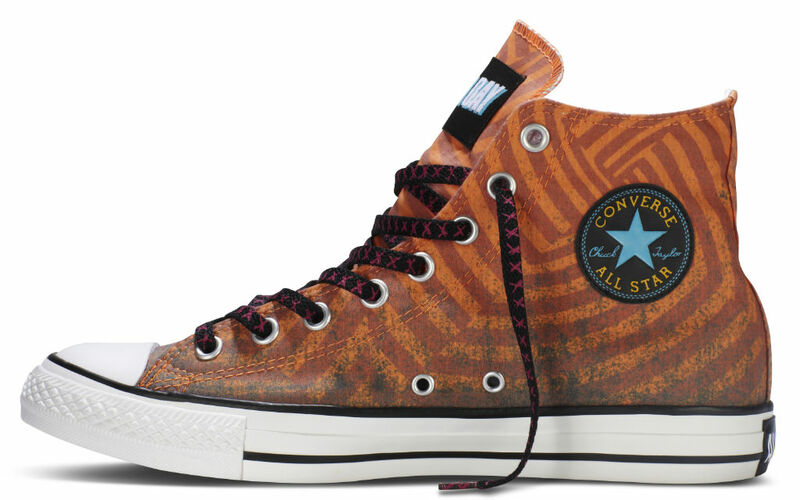 Converse has unveiled the second shoe in the Chuck Taylor All Star collaboration with Grammy Award winning band Green Day. The shoes are timed to the band's album trilogy release, Green Day ¡Uno!, Green Day ¡Dos!, and Green Day ¡Tré!. The second shoe in the collection, Green Day ¡Dos!, will be available at journeys.com and converse.com on Thursday, November 15. To celebrate the shoe's launch, Journeys will offer fans a chance to enter to win two tickets to a Green Day concert in 2013. The contest will run at journeys.com until January 30, 2013. Additionally, fans can download a free exclusive live version of Green Day’s new song “Let Yourself Go” at journeys.com/pluginto/. 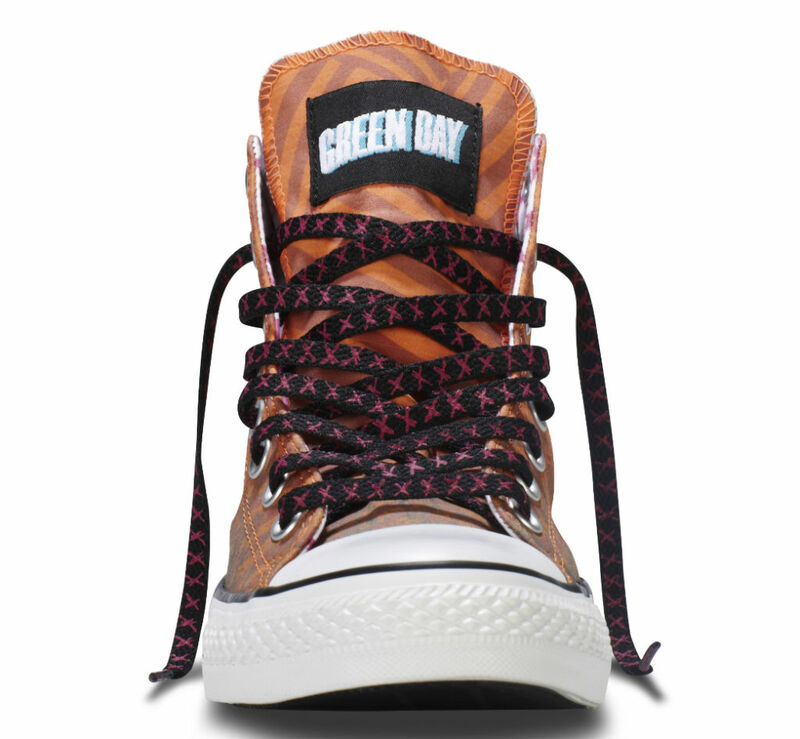 The first shoe, Green Day ¡Uno!, launched the collection on September 25. Designs are inspired by the band's three new album covers. 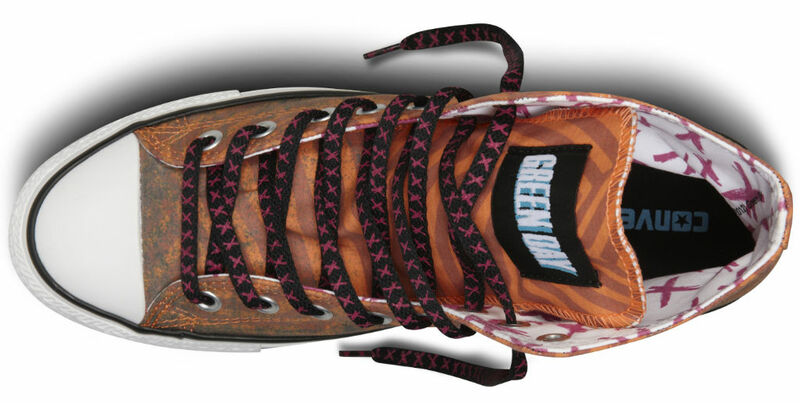 The second shoe features a screen print of the Green Day ¡Dos! album title, set against the burnt orange background of the album jacket. This make-up also sports a strong contrast of black and pink x’ed out pattern with Mike Dirnt’s image on the tongue of the shoe. Details on the third shoe will be announced soon.